One of my classes in college challenged us to write the music we were to record. For our Week 10 assignment, we were to write an original composition with at least two ‘mood changes’ that would challenge our song writing skills. My personal parameters were to not write in 4/4, write in a minor key and try to include a key change. The result was this song – Summer Reign. I began by composing the core chord progression and vocal line. I recorded a scratch track and gave it to the musicians I wanted to work with. My co-engineers were Abby Graham and Brian Binning. I also chose Brian as my pianist due to having worked with him in the past and his background of having been brought up playing in the church. His piano skills are more advanced than mine and I knew he could put the soulful flair that I wanted into my song. He and I met up and laid down the piano and vocal tracks. For my vocals, I chose the Neumann U-87. 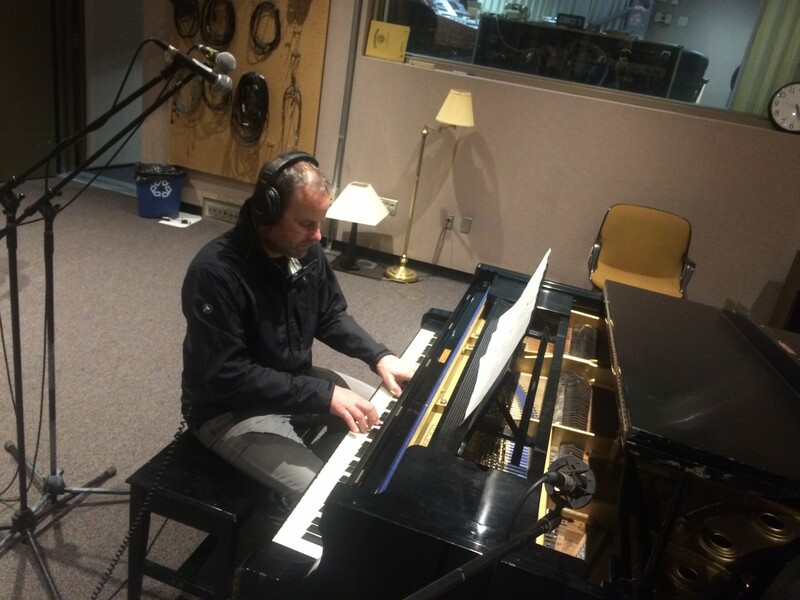 On Brian’s piano, we used a Chameleon Labs TS-1 on the low end under the piano. Brian also suggested a stereo x-y pair of Shure SM-58’s behind him. This caught a nice room tone. I liked the blend all the mics caught, so I kept all of them in my final recording. For bass, I brought in my friend Sam Stark – whom I previously worked with in choral ensembles and theatre productions. I’m a fan of his work and I knew he would get where I wanted to go with this track. 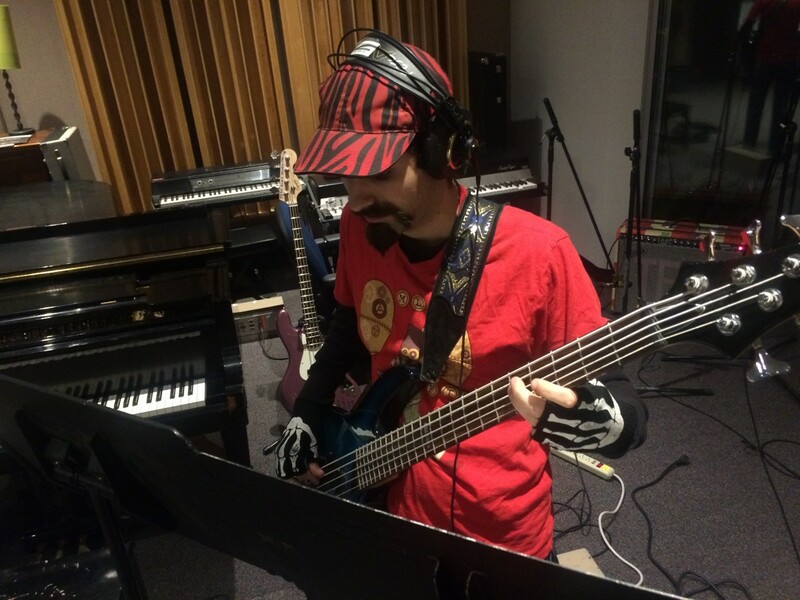 Recording his bass was easy. I put an AKG D112, AKG D202e and Electrovoice CS-15 on the bass amp. The CS-15’s sound wasn’t to my liking, so it got taken out. I typically knew the D112 as a kick drum mic (which I later used it as), but it picked up the bass wonderfully. My professor wanted us to try exaggerated recording, so I pointed the head of the D202 at the amp rather than where the pickup pattern actually is. I was pleased with the sound, so I kept it. Lastly, my original drummer was running late due to Olympia city transit problems. My classmate, Dan Davis, showed up early for his session and graciously took over the drumming duties. I was really impressed with Dan. He took one listen to my song and knew exactly what I wanted. We moved the D112 to the kick drum, the D202e to the snare and put two SM 58s on overhead. I then took my recordings into the mix bench for mix down. I added reverb to my vocals, compression and EQ to the drums, compression to the bass and reverb to two of the piano tracks. Overall, I’m happy with the final product. I think I will review my vocal line composition and see how I can improve it. In the end, it was a very rewarding experience writing a song and seeing it come to fruition. I look forward to doing more next quarter.